Click here to book for my ‘Writing your Story’ workshops in 2019. My name is Shirley Anstis, and I am a counsellor, writer and editor. Welcome to my blog on wellbeing in body, mind and soul. A place to share insights, findings and reviews to help us to live happier and more fulfilled lives as we remember to be living beings, not just doing beings. Comment, share and you can also get in touch with me “Here” . My counselling practice, based in Reading, UK. 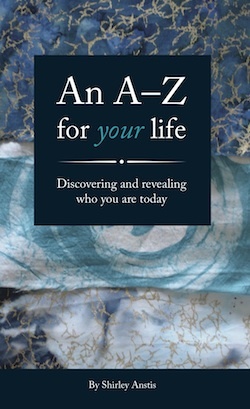 My first book, “An A-Z for your life“. Available from Amazon as a paperback or on Kindle, or get a signed copy directly from me. My second book, “They Call Me … A look at nicknames on the Caribbean Island of Grenada“. Available from Amazon as a paperback or on Kindle, or get a signed copy directly from me. You can also find “They Call Me …” on Twitter and Facebook. I am the editor of Today Magazine. Join our business networking group – Berkshire Black Business. It is for anyone interested in Berkshire’s Black and minority ethic communities. Let’s connect, inspire and grow.